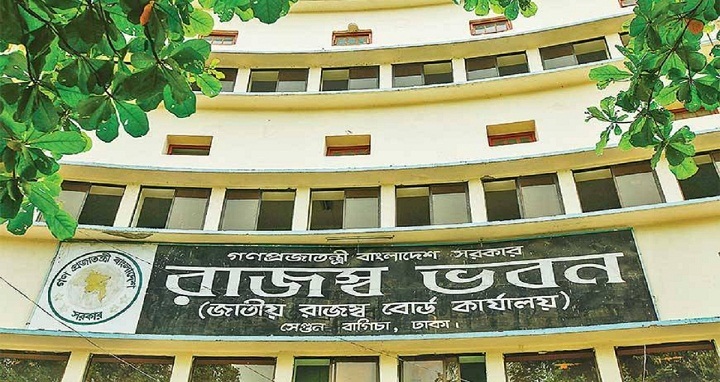 Dhaka, 18 October, Abnews: The National Board of Revenue (NBR) has taken an initiative to procure and install 10,000 electronic fiscal devices (EFD) in 13 types of business entities from next year in a move to check value added tax (VAT) evasion. The new EFD will replace the electronic cash register (ECR) and the point of sale (POS). The government this year made EFD use mandatory in 13 types of business entities in city corporation areas and in district towns to check Value Added Tax (VAT) evasion. The 13 types of businesses included hotels, restaurants, fast food shop, confectionaries, jewelers, beauty salons, furniture shop, RMG shop or boutique shop, electronics shop, community center, all business entities in posh shopping mall, departmental stores, general shop or super shop, wholesalers and large retail stores. Recently the government has issued an order making the installation of EFD in the retail shops across the country mandatory. According to the NBR officials the price for one EFD would cost Tk 25,000-30,000. “Although the government is spending the money for the 10,000 business entities the NBR hopes that it will bring transparency in the accounts of these entities and that would bring a positive result,” a senior official of the NBR said. He said that EFDs will help curb evasion as these would be connected with the server that will generate real time data of sales at shops. The EFDs will be connected online with a server at the NBR. Any entry from a particular business entity will be registered at the server of the NBR. "This will bring transparency and the scope to evade the tax will be restricted. As a result the revenue collection will be improved," the senior NBR official said. If any business entity does not use this EFD or any deviation of using this is proved that entity will have to pay Tk 20,000-50,000 as fine. If this kind of offence committed repeatedly then the NBR will lock the offender’s Business Identification Number (BIN). The NBR earlier planned to buy 10,000 ECRs for large shops, wholesalers, restaurants and other businesses as part of its target to implement the VAT law 2012 from fiscal 2017-18. The plan was scrapped after the government deferred the implementation of the law by two years. Last year, it identified 8,007 entities eligible for fitting the electronic sales devices. These business houses will get the EFD on priority basis and other business houses have to procure the EFD later. At present, several thousand shops use electronic cash registers and point-of-sale machines. However, all of the business entities are not currently using the device to issue sales invoices to customers and hide actual transaction figures from taxmen. The NBR had made the e-cash mandatory in 2008 for 11 types of businesses: hotels, restaurants, confectionaries, jewelers, beauty salons, wholesalers and large retail stores. Allegations are widespread that many businesses do not use the e-cash register even after installation to evade VAT allegedly in connivance with field officials of the revenue authority. The move to install EFD comes following advice from Finance Minister AMA Muhith to introduce an EFD management system to combat non-payment of VAT at the retail and wholesale levels. For fiscal year 2018-19, the government has set the total revenue target - tax and non-tax revenue – at Tk 3,39,280 crore. Of the above total amount, the NBR has been tasked to source Tk 2, 96,201 crore.